DUI/DWI Attorney | New York & New Jersey | Law Offices of Adam M. Thompson, P.C. Whether you are under the influence or not, seeing the flashing red lights in the rear view mirror is something no motorist wants to see. If those lights ultimately lead to an arrest for driving while intoxicated or driving under the influence, DWI, you face serious consequences and penalties if convicted. A conviction for DWI can have a dramatic impact on every aspect of your life including your home, work, and even social life. If you have been charged with DWI, or another alcohol or drug related driving offense, you need an experienced, aggressive and committed DWI defense attorney on your side to protect your rights, prepare your defense, and limit the negative impact the arrest has on your life. At the Law Offices of Adam M. Thompson, P.C., we provide individuals who have been charged with DWI in New York City with exceptional legal representation based on over two decades of experience defending those accused of a criminal offense. We also proudly represent clients throughout the State of New York, as well as New Jersey. We have successfully defended thousands of people charged with serious crimes with outstanding results. Our DWI cases often result in the complete dismissal of all charges or reductions in the charges to lower offenses, many times resulting in a plea bargain with no criminal record. In fact, we have not lost a DWI trial in 20 years. Every client has either been acquitted or had their charges reduced. If you or a loved one has been arrested and charged with DWI, get help now and contact the Law Offices of Adam M. Thompson, P.C. by calling 855-497-2326, or filling out our online contact form. Our phones are answered 24 hours a day seven days a week to ensure that you can reach us when you need us. In both New York and New Jersey, it is illegal to operate a motor vehicle with a blood alcohol concentration (BAC) of 0.08 percent or higher for most drivers. It is also illegal to operate a motor vehicle while "intoxicated," meaning that it is not essential to have a BAC of over 0.08 to be convicted of DWI. For certain drivers, the BAC level is lower. Drivers under the age of 21, for example, are subject to New York's Zero Tolerance law. The Zero Tolerance law applies to motorists under the age of 21 who have a BAC of 0.02 percent or more. If a driver under the age of 21 has a BAC of 0.02 percent or more, but not more than 0.07 percent, the driver will be charged with the traffic offense of "driving after having consumed alcohol". If an underage driver has a BAC that is more than 0.05 percent but not more than 0.07 percent, the police will have the option of charging the individual with "driving while ability is impaired by alcohol" (DWAI). If a driver under the age of 21 has a BAC of more than 0.07 percent but less than 0.08 percent the driver will be charged with the offense of "driving while ability is impaired by alcohol" (DWAI), and for those with a BAC of 0.08 percent or more, the charge will be "driving while intoxicated" (DWI). For a driver who holds a commercial driver's license, or CDL, the BAC threshold is also lower. A motorist holding a CDL can be charged and convicted of DWI with a BAC of 0.04 percent or higher. Challenging the stop – an officer must have a valid, legal reason to conduct the stop in the first place. If he/she did not, the entire case may fall apart for the prosecution. Challenging the test results – despite what many people are led to believe, chemical tests are far from perfect. Even when administered properly with a properly calibrated machine the results can still be less than 100 percent accurate. Suppression of evidence – if the police conducted an illegal search, questioned you without the right to do so, or did anything else illegal during the investigation stage you may be able to suppress any evidence encountered after the illegal conduct. Police officer is making up the chargesmany times during a routine traffic stop the driver and officer will have an unpleasant verbal exchange. The officer, wanting to demonstrate his control and power, may go too far and improperly ask the driver to get out of the car claiming "I think I smell alcohol on your breath." 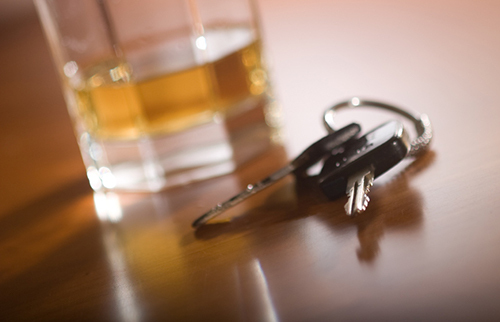 Quite often, DWI charges are brought without merit based on such a situation. In those same situations, the driver will often refuse to take any breath test out of anger and fear the police officer will make up or "fix" the test and lie about the actual results. This happens more often than you think. If this happens to you, be sure to document everything you can as to what actually took place and get witnesses to the encounter with the officer. In many instances, you can request a copy of the police car video which sometimes not only will show the video of the actual stop but audio as well. If the State fails to produce this tape, you can argue it was purposefully destroyed to cover up the improper stop. If you are facing driving while intoxicated or driving under the influence charges in New York City, or anywhere in New York State or New Jersey, you need the experience and dedication offered by the Law Offices of Adam M. Thompson, P.C. Contact our office now by calling 855-497-2326 or by filling out our online contact form for your free consultation.